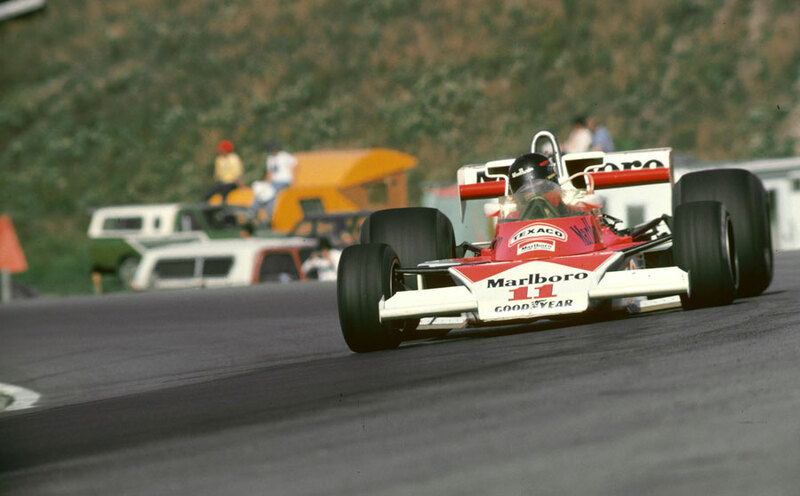 James Hunt won the Canadian Grand Prix but actually lost ground on Niki Lauda in the drivers' championship as it had earlier in the week been announced his victory at Silverstone had been overturned by the FIA. The only solace was that his win at least ensured Lauda remained within reach as he failed to finish in the points. Perhaps inspired, or infuriated by, the ruling, Hunt dominated practice to take pole, and after putting his almost customary poor start behind him, pulled off a daring manoeuvre to overtake early leader Ronnie Peterson. He then held off a determined race-long challenge from Patrick Depailler's six-wheeled Tyrrell. At one point Hunt's lead had been less than half a second, but by the end he had squeezed it out to about 100 yards. No sooner had he crossed the line than Hunt, who had a sore arm because of the heat which built up in his cockpit, clipped a safety barrier. Depailler had more serious problems and had to be rushed to hospital suffering from burns to his back caused by a leaking fuel tank. "That was probably the toughest race I have ever won," Hunt said. "Patrick was pushing me harder than I wanted to be pushed. It was cliff-hanging stuff, too cliff-hanging for me. We were on the limit all the way." Lauda's challenge was ended when he developed fuel problems while lying fifth, but he soldiered on to finish eighth. After two races where he had looked to drive cautiously and pick up whatever points came his way, he admitted he would have to change his strategy for the last two races of the season, saying: "I will have to go for the win now." The attendance of 85,000 was a record for Mosport.